Blog » Should I Convert My Garage? Innovative ways of creating more space in a home should always be considered, with garage conversions one of the projects many people are turning to. For properties that already have a driveway, a garage can seem like a waste of space, so it is no wonder a lot of homeowners are thinking about converting their garage. After all, being able to add a whole new room to a house is likely to have a significant impact on the value of the home, potentially making it worth thousands of pounds more when it is sold. However, if you’re thinking should I convert my garage? It is worth remembering that no home improvement project is ever going to 100 percent guarantee a positive impact on the value of the house. What sort of garage conversion ideas are the most effective types of project? Increasing the amount of living space in a property is one of the primary reasons people look to convert their garage. Having a second living room is a benefit more and more homeowners are looking to achieve, and if space is at a premium it is natural to look towards the garage. 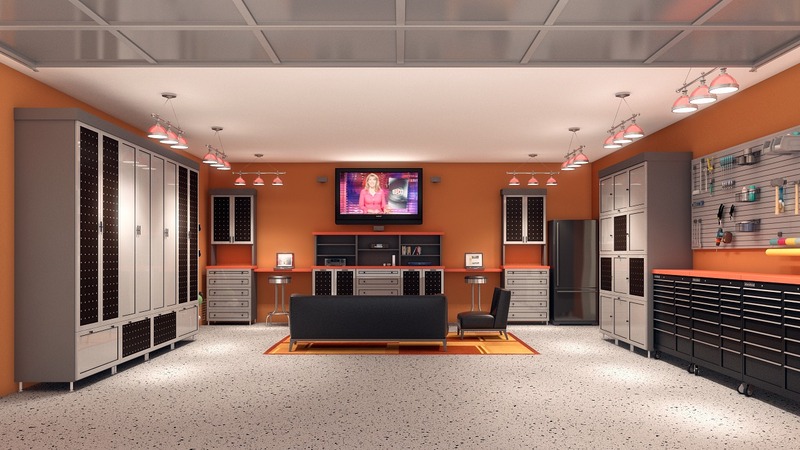 One popular garage conversion is to create a home theater. By turning the garage into a cinema the house gets an extra entertaining space and a room that can be great for families to enjoy on evenings and weekends. Others might decide that the space being taken up by their garage might be better used as a playroom. Having a place in the home specifically for the children to call their own can be extremely beneficial for families. A ground floor bedroom for guests can also be a great reason to convert a garage, while a fantastic nursery can also be created by utilizing this unused space. Check more garage conversion ideas here! So should I convert my garage? Experts don’t all agree that a garage conversion is a good way to add value to a house. However, one specialist who does think it is an idea worth considering is Phil Spencer, the co-host of Channel 4 property show Location, Location, Location. He says a garage conversion is one of the top 20 ways to add value to a property, noting that in around 90 per cent of cases a property’s garage is not actually being used to store a car. He recommends that homeowners considering a garage conversion set aside a budget of at least £10,000 for this home improvement project. According to Spencer, the impact on the value of the property can be calculated by the multiplying square footage that is gained by the local price per square foot. One of the problems with garage conversions is that they tend to be long and narrow, which is not really the ideal shape for an extra room. Therefore, homeowners looking to carry out a garage conversion should consider turning their garage into not one, but two new rooms. Building regulations will also need to be adhered to by anyone taking on a garage conversion, although this type of home renovation does not usually require planning permission.